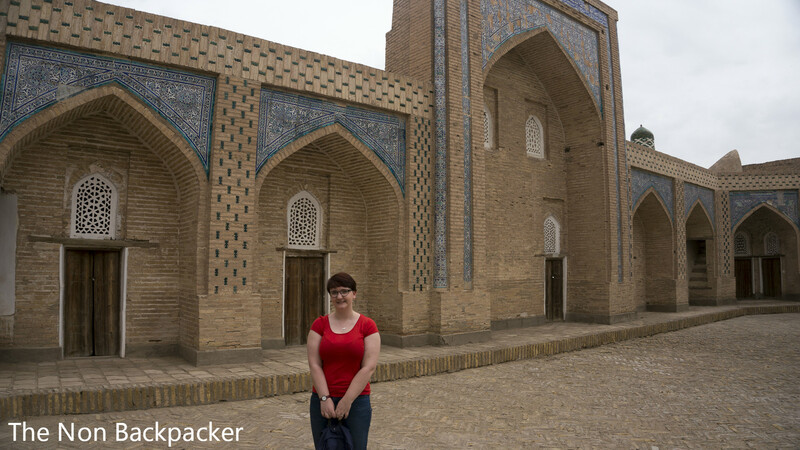 We were sad to leave Bukhara behind but equally as excited to be heading to Khiva – the city in the desert. The landscape was already a lot more desert like in Bukhara but we knew it was going to get a lot more deserty! We had a full day in the bus ahead of us across what can only be described as terrible roads with potholes the size of small towns (okay that’s a slight exaggeration but they were big!) The drive was long (around 9 hours I think in total) but so so worth it. We drove through a proper sand-can’t-see-the-horizon desert with the warmest (and sandiest) loo stop I have ever experienced. 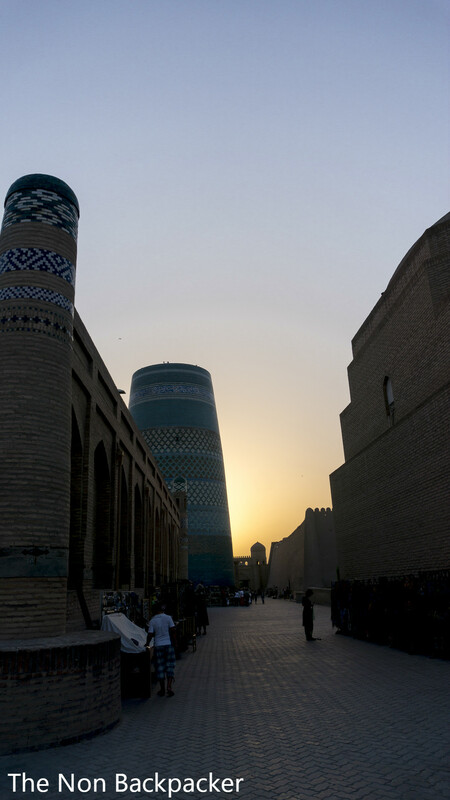 We arrived in Khiva in the evening and with a quick check in at the hotel we wandered round the city before dinner and bed! Today we had a local guide called Johnny who took us on a tour of the city. 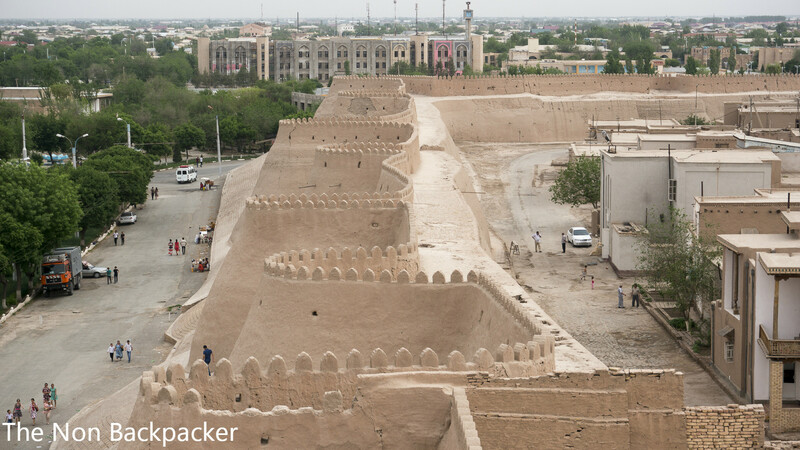 Khiva is a small walled city which has been pretty much totally restored so is a little like walking round an open air museum but this didn’t take away from its atmosphere. 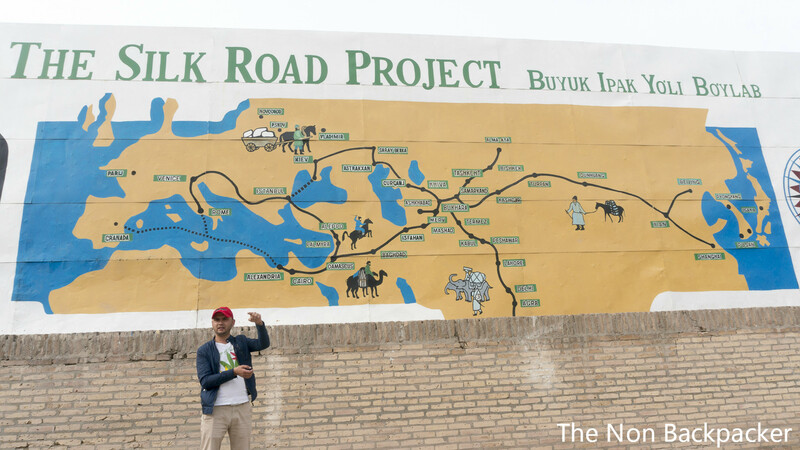 We first headed to a map of the Silk Road so we could see where Khiva (and Uzbekistan) fits in with the old route. 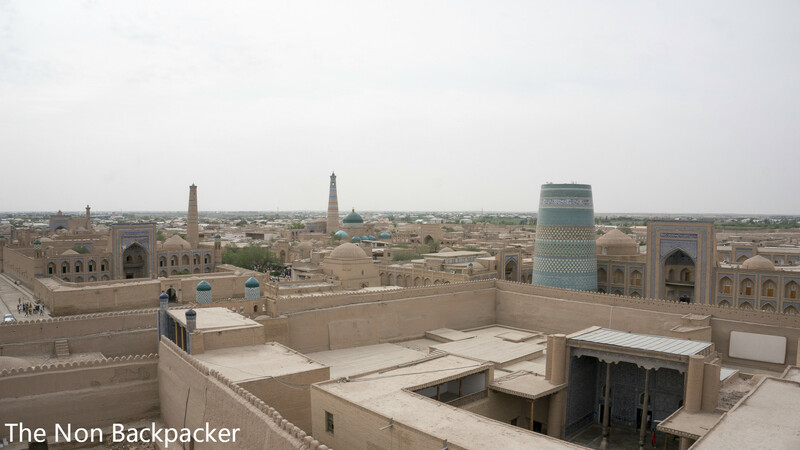 Johnny gave us a rundown of the Silk Road and Khiva before leading us inside the Ichon Qala to the Khiva Madrassah. 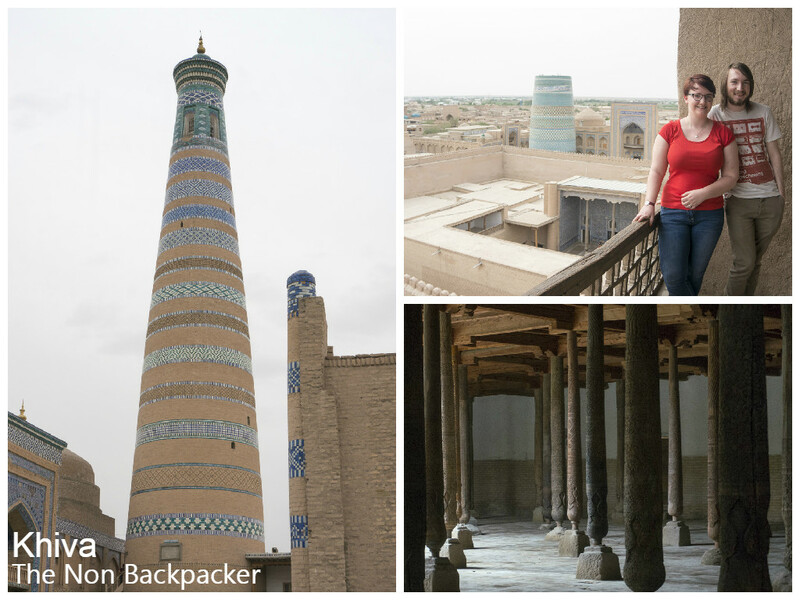 This took us past the unfinished Minaret. 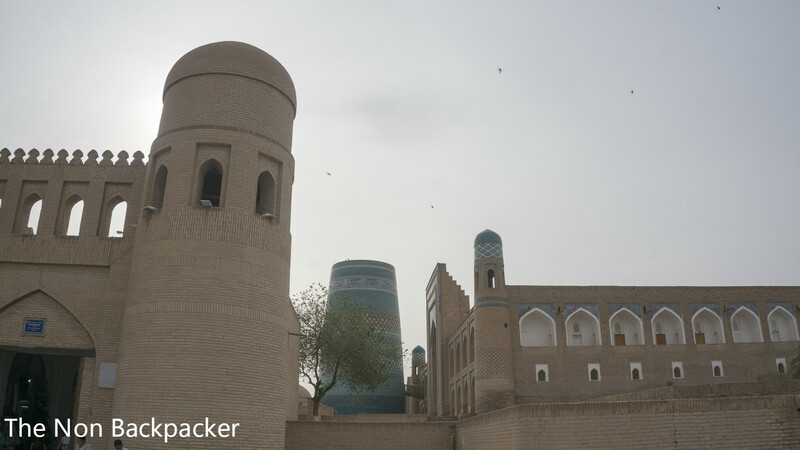 Legend states that the Emir stopped the building on the minaret as it would have blocked the view to his hareem. 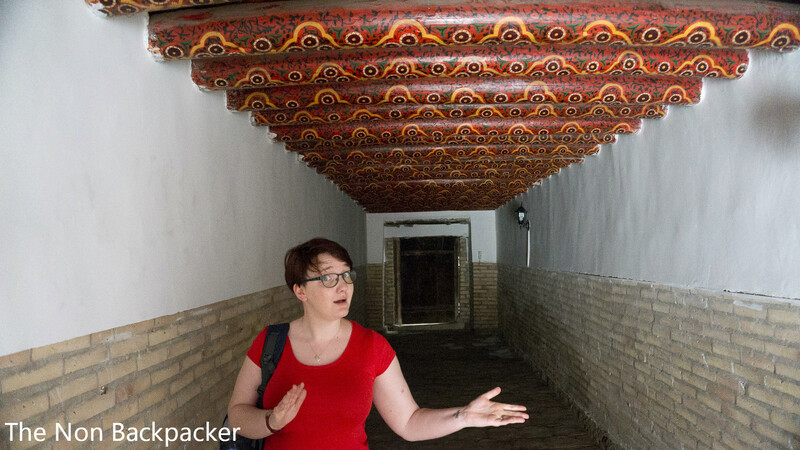 We then headed to the Winter Palace through the Registan Ark. 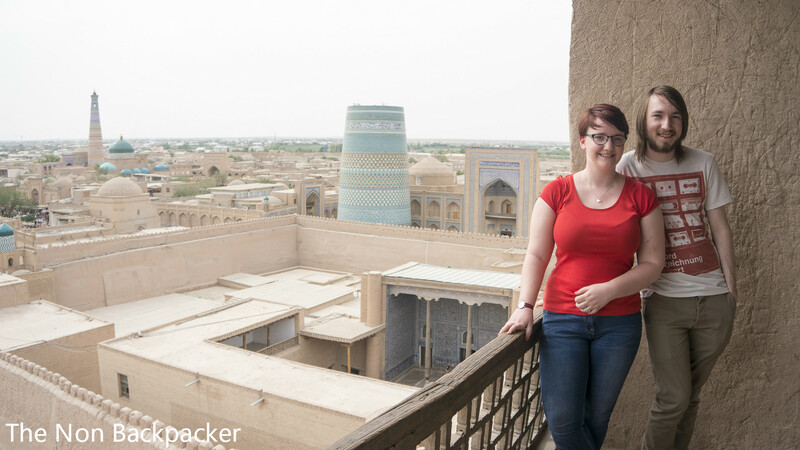 Some of us paid to climb so very steep steps to a platform which gave an incredible view over Khiva and a great insight into its scale. Khvia was packed with people! Johnny advised us that as it was a Sunday school trips took place which made it a lot busier! 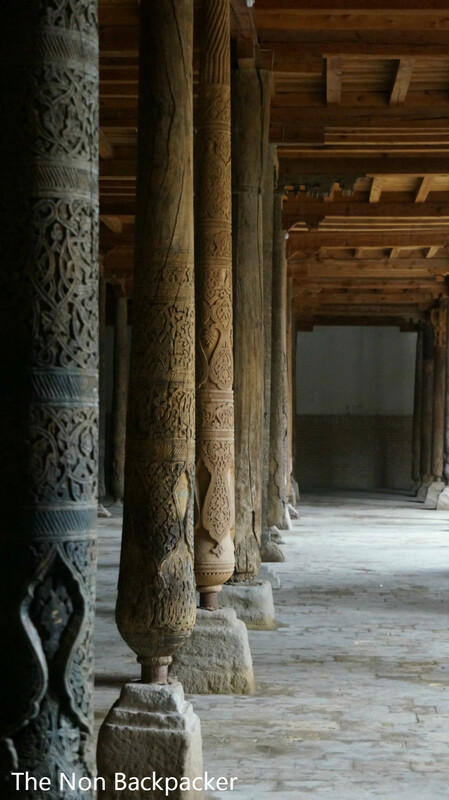 After a quick coffee stop we entered the Juma (Friday) Mosque – this was one of the most beautiful Mosques we had been in with 213 carved wooden pillars. 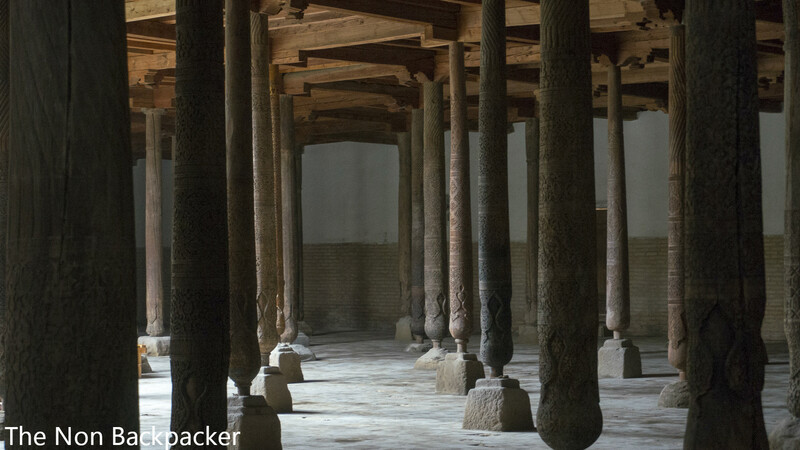 The Mosque is from the 10th Century and 4 of the pillars date from the time it was built. Its true when the guidebooks explain how a sense of calm washes over you as you enter inside as it really is a tranquil place. I could have spent a lot more time here wandering around the pillars. Johnny explained to us how the “sound system” worked. In order for the Imam to be heard by everyone clay pots had been buried in the walls all around so that the sound echoed back out. Most of them had been covered up now but you could still see a few remaining holes. 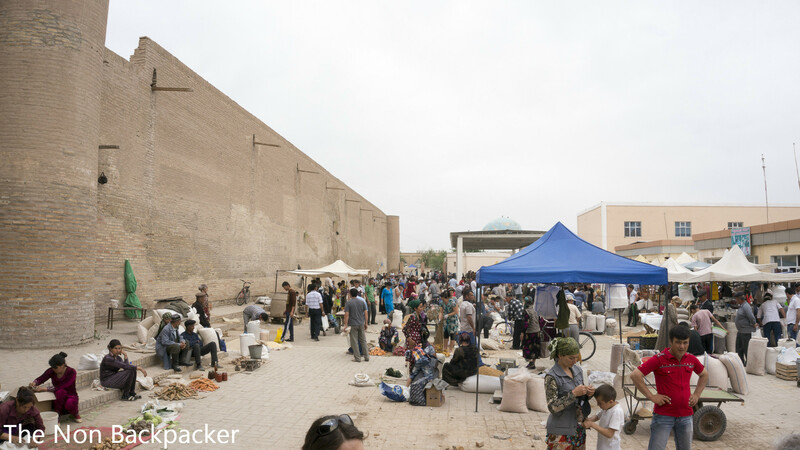 A stark contrast from the Juma Mosque was the Khiva Bazaar – with chickens and turkeys squawking, butchers stalls with cow feet outside and many women shaking yellow carrots in string sacks! 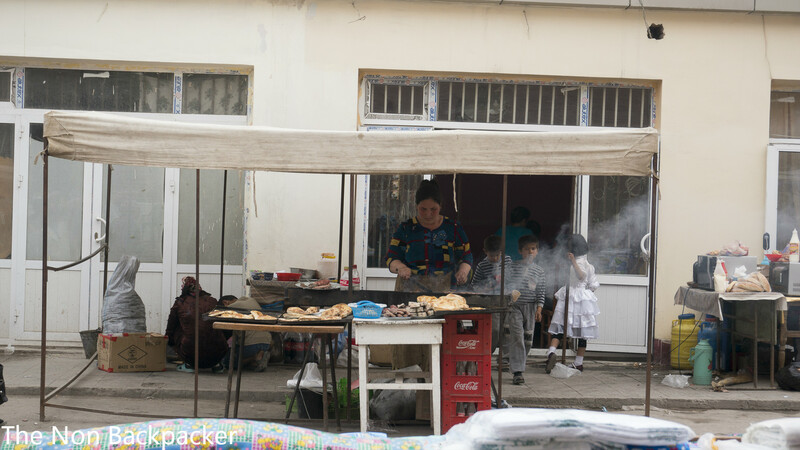 We wandered around for a bit and then took up a pew and watched the local Uzbeks go about their daily business. 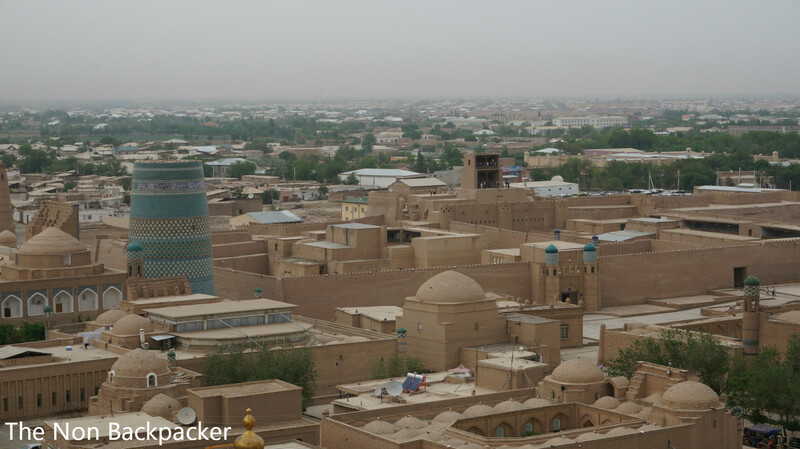 As Khiva is relatively small place it was easy to walk around which was a relief after the long bus rides we have had. 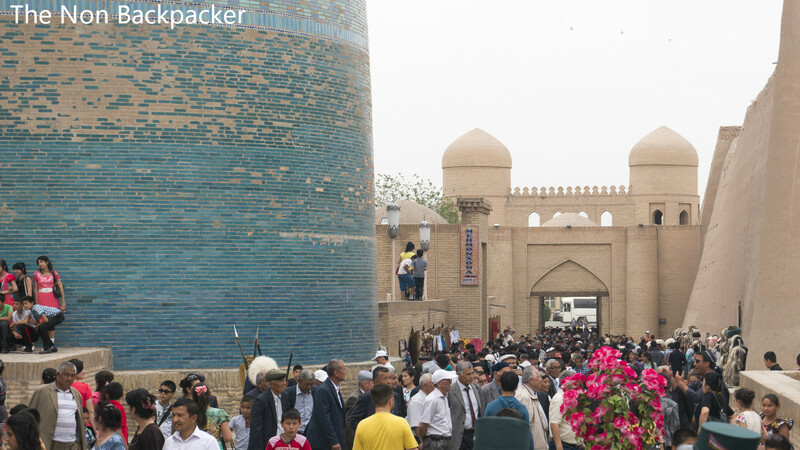 We wandered back through the crowds of people to the Emir’s hareem. 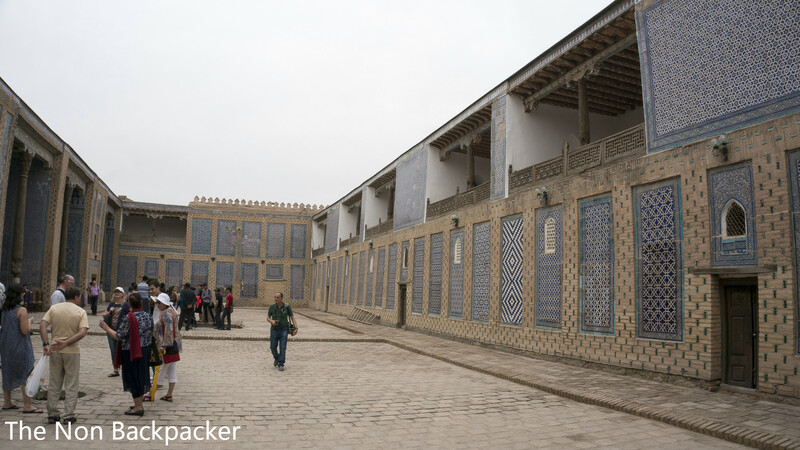 It was a lovely courtyard with surrounding rooms, the Emir and his wives on one side with their own rooms and the concubines on the otherside. 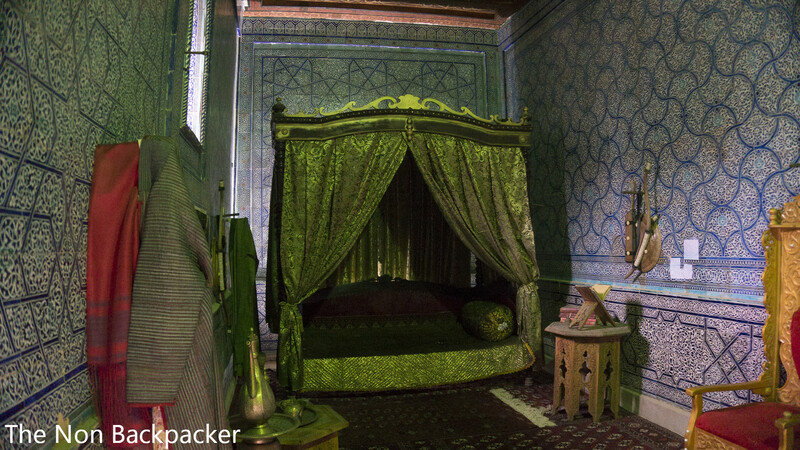 Only the concubines were allowed inside the Emir’s room, if he were to see a wife he would visit them! 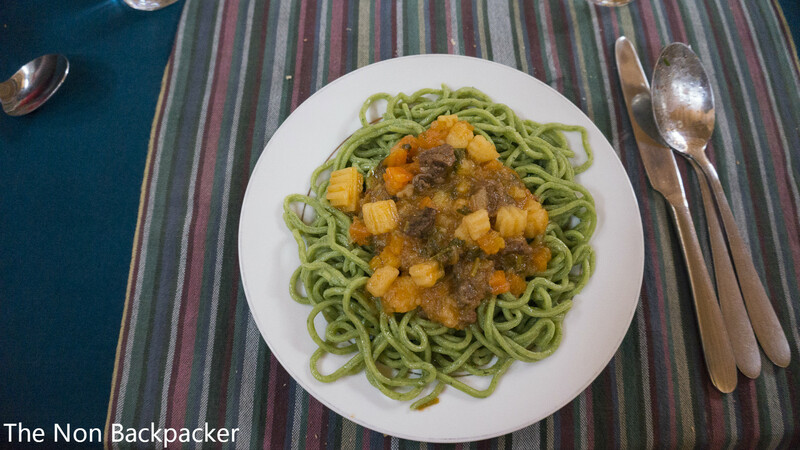 We stopped for lunch for some green pasta – I can’t say I was overly keen! 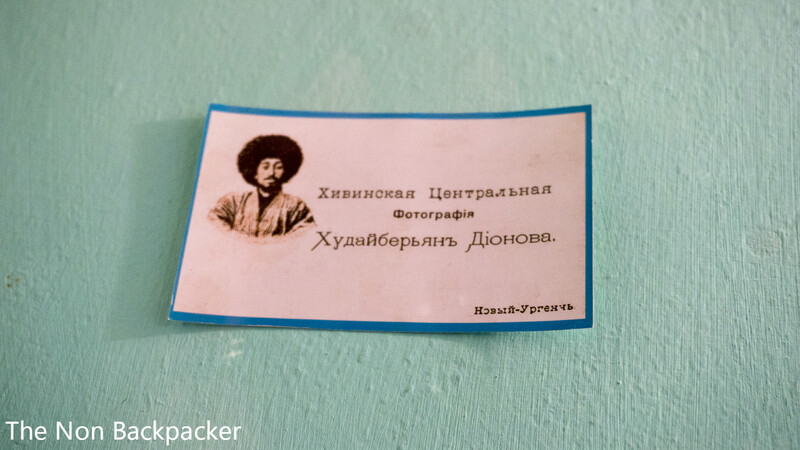 We had a couple more sites to see before some down time, we headed to the Photography Museum which showcased some wonderful photographs and the first ever Uzbek business card! 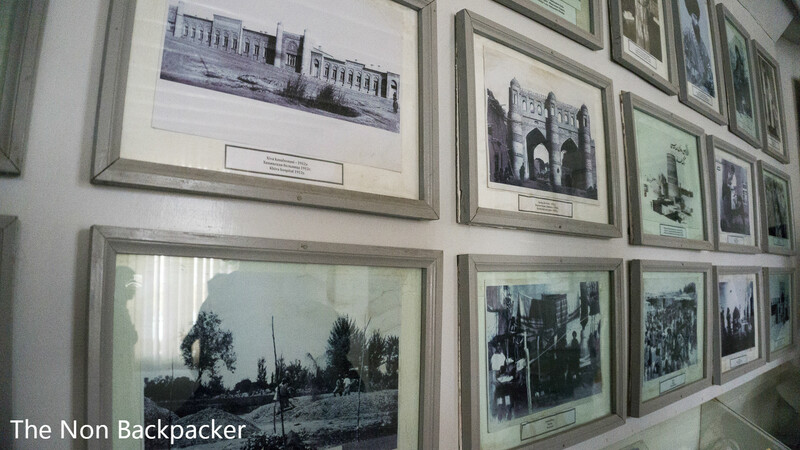 Our last site of the day was the Pakhlavan Mahmoud Mausoleum. 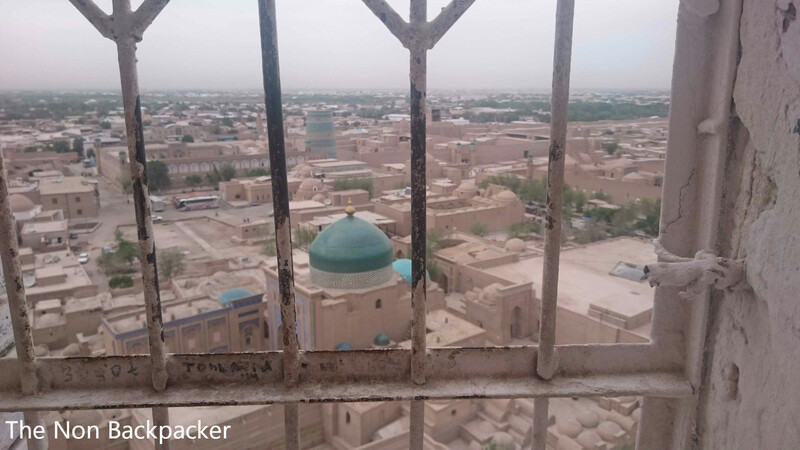 This is the holiest site in Khiva and the burial place of the Khiva Khans and and Khiva’s patron saint Pakhlavan Mahmoud. The dome was beautiful as was its interior however it smelled rather like smelly feet! 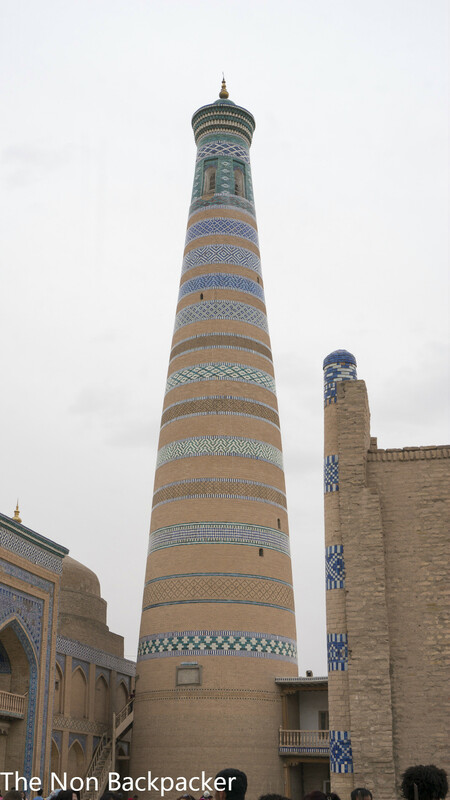 The afternoon was ours to relax although Stuart had his eye on one of the two minarets you can climb in Khiva so we headed over to the Isla Khoja Minaret. 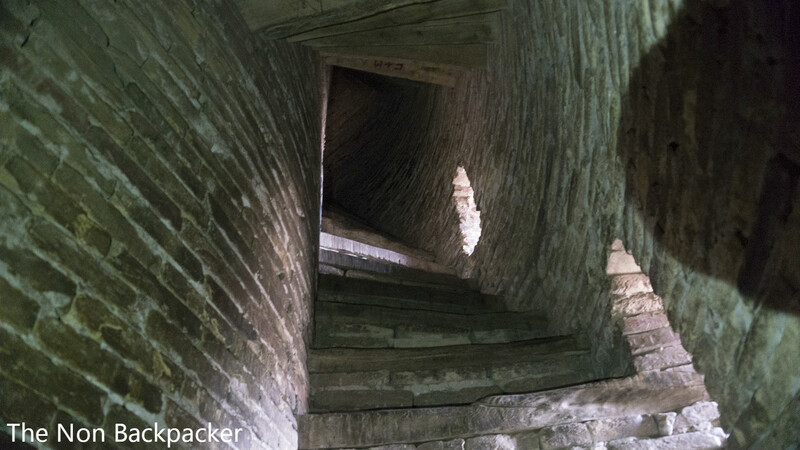 After paying a small entrance fare we began our ascent up some very rickety stairs into a windowless minaret with very steep steps (I had to climb most of the way up on my hands and knees) in the dark with only the light from a phone! We made it to the top exhausted and had a fabulous view! It was totally worth the exhausting 10 minute climb. We had the top to ourselves for a little while so enjoyed the view and took some snaps before we were joined by more exhausted tourists. We headed back down, which was almost as much hard work as going up, and then headed for a well deserved beer! We chilled out on a daybed for the rest of the afternoon with cold beer and sunshine. It was a lovely afternoon (and day) and I would so go back just to spend the afternoon watching the locals go by on one of those daybeds! 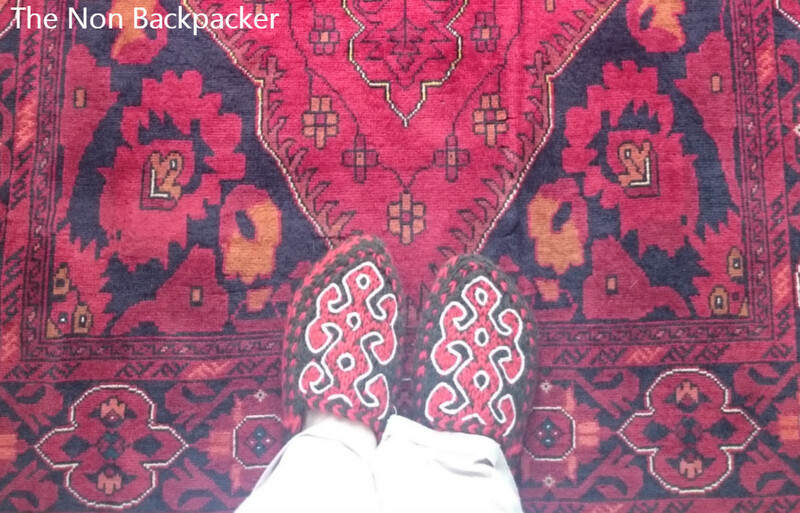 Oh and for some more Uzbek slippers!! Where is your favourite place to stop for a beer?